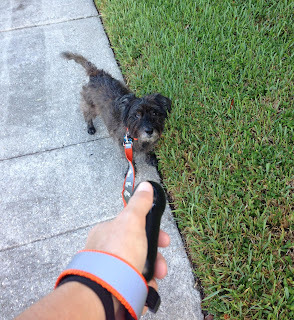 Pepper's Paws: Bark Genie Pet Product Review & BarkWorld 2013 Swag Giveaway! 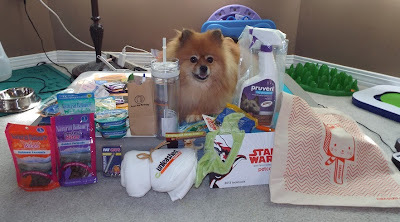 Yes, I finally have the BarkWorld swag ready to give away! It took me longer than I expected to unpack and take photos. 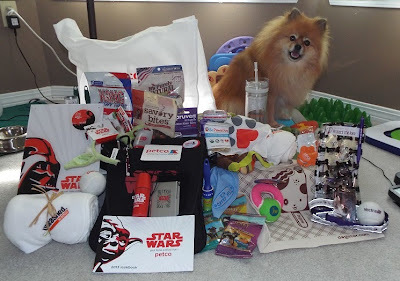 First, I would like to thank all of the BarkWorld staff & sponsors for making BarkWorld possible, and for all of the pawsome swag! Thank you to my pal Sandy Robbins for the delicious treats from Loving Pets! The It's Purely Natural Beef & Brown Rice Biscotti with Sweet Potato Chunks treats are furrific! 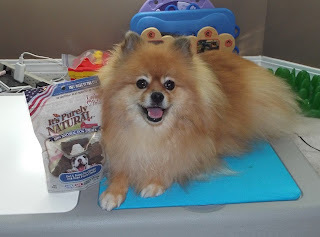 These natural treats are made in the USA, just like all of the Loving Pets treats I've reviewed. Ingredients: Beef, Brown Rice Flour, Dried Sweet Potatoes. The Bark Genie from First Alert was Mom's "secret" weapon during BarkWorld. 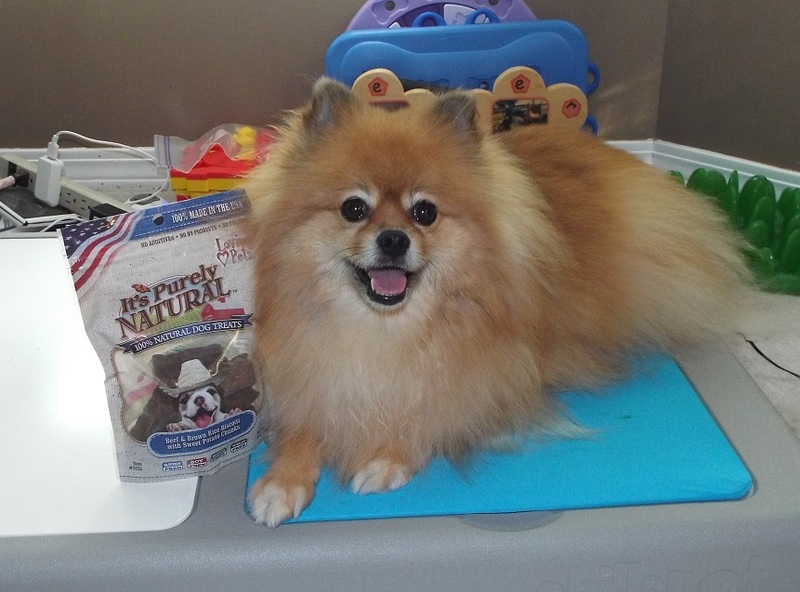 (First Alert is a brand from Jarden Corporation, one of the BarkWorld 2013 sponsors.) Mom kept the Bark Genie in the bottom of my stroller to control my barking. I wasn't in a very yappy mood at BarkWorld this year, so Mom didn't get to test the Bark Genie as much as she would have liked. I BOL! at attempts to silence me! I was very excited when you let me borrow your hand held Bark Genie. I could not wait to take him with me on my walks. Of course, I made Ma carry the Bark Genie. She said it has a very convenient wrist strap that adjusts so it fits any size wrist securely and comfortably. We went on our first walk and I barked like a mad dog so Ma pushed the button. I stopped barking immediately and waited for the Genie to appear to grant me my wish...but no Genie appeared. I feared my Bark Genie must not be working properly since no Genie popped out so a little while later, I barked like a mad dog again (as you know, I cannot be silenced for very long). Again, Ma pushed the button and I stopped barking. Still, no Genie. That happened several more times...and never did a Genie appear to grant me my wish however a few times, Ma gave me a training treat and said "Good boy, Oz". Later in the day, while resting comfortably with my Bark Genie, I got to thinking. Maybe my Bark Genie is not a Genie after all. Maybe it is a way to train my Ma into becoming a Treat Genie?!? So, on my next walk with Ma I barked a lot to test out this theory. We walked, I barked my fool-head off, Ma pressed the button on the Bark Genie, I immediately stopped barking and Ma said "Good boy" and gave me a training treat. It worked!! The Bark Genie really works!!! If you bark a lot but stop when the Bark Genie tells you to, you can train your mom to give you treats! I know I need to give the hand held Bark Genie back to you but if I could keep it a little longer I am sure I will have my Ma completely trained. Thank you, Pepper for lending me your Bark Genie! Oz, I must admit that I never saw a Genie pop out of mine either. BOL! At least you got some treats out of the handheld one. The one in my house didn't give me any treats. I wonder if Mom told it I was on a d-i-e-t? It's weatherproof, so maybe I should put it outside to stop other dogs from barking back at me! BOL! It has a range of 50 feet, so it is a great product if you have a dog neighbor who barks from boredom because its humans leave it out in the yard all day. 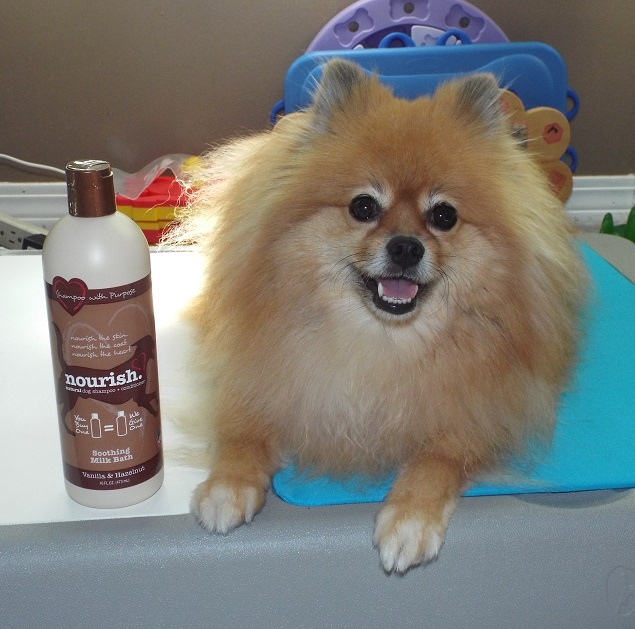 Nourish is a great pet shampoo that is also a brand of Jarden Corporation. It is available at Target. What I really love about this company is that they donate a bottle of shampoo to a rescue every time a bottle of shampoo is purchased. (I think Nourish shampoo is only available at Target.) I have a bottle of the Soothing Milk Bath. 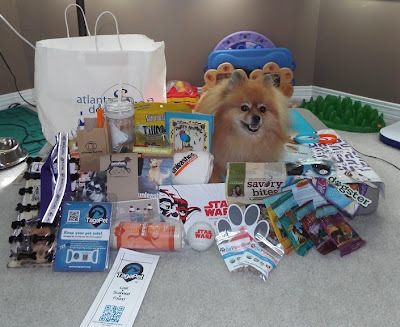 Look at all of the swag included in the prize for one lucky dog! TagaPet donated one of their Argos tags specifically for the dog swag prize. 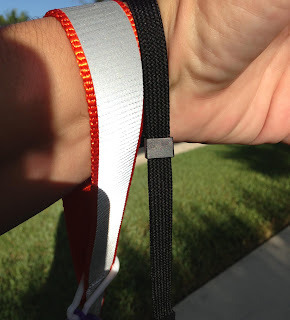 Whenever the QR code on your tag is scanned, it sends your GPS location to your humans. 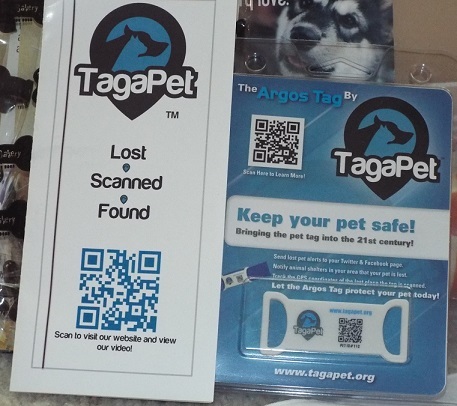 TagaPet wants to see all lost pets returned to their owners. 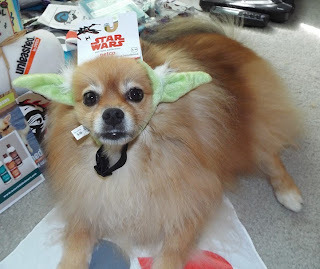 I know everyone wants StarWars Yoda ears from Petco! Guess what! They are included in the dog swag prize! Don't worry, I didn't forget my kitty pals! Look at all the kitty swag in your prize! Yes, you get Yoda ears too! BOL! Who's ready to try to win some BarkWorld swag? Giveaway Disclosure: I did not receive any compensation for this giveaway. I was given free products to giveaway. I am not responsible for lost/missing prizes. The opinions in this giveaway are my own and not influenced by any outsider . I receive no additional benefits for talking about the product or company. The Bark Genie looks really cool! What a great invention! Lmao to oz's review. I love that it's a treat trainer. Why does you stop barking? I hope it doesn't scare you. Maybe calm you? Would live to use on the neighbor dog that barks ALL THE TIME. Dogs stop barking because they are distracted by the new sound. :) Of course, the dog needs to be a distractable dog. BOL! Thanks for your comment! 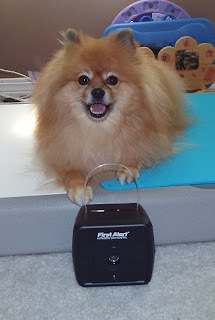 First Alert Bark Genie works great for neighbor dogs too, b/c it's indoor/outdoor and effective up to 50 feet away. For more information, you can check out: www.FirstAlertforPets.com. Thank you so much! I'm Entering For A Dog, I Have Both A Large A Small Dog. OMGoodness look at all the awesome swag! Pepper you must be a happy pup! 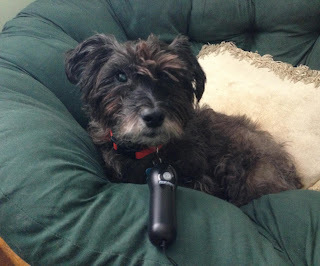 And so kind for sharing : ) I'd like to enter for the dog prize package for a small dog please. Looks like you cleaned up at BarkWorld! How can they call it BarkWorld and then give you something to make you not bark? MOL! I'd love the enter for the cat swag bag. Thank you. That is SO pawsome of you to share that much with someone, Pepper! Vlad & Barkly LOVE the looks of that dog swag bag. That Bark Genie sure looks nice according to th' Mom. Not great from our POV! Oh, dog! What a lot of SWAG! Hilarious Bark Genie review from both you and Oz. Sharing. Hi Pepper~ I have both dogs and cats. Can I enter for both? I have small dogs. OMD and OMC!! 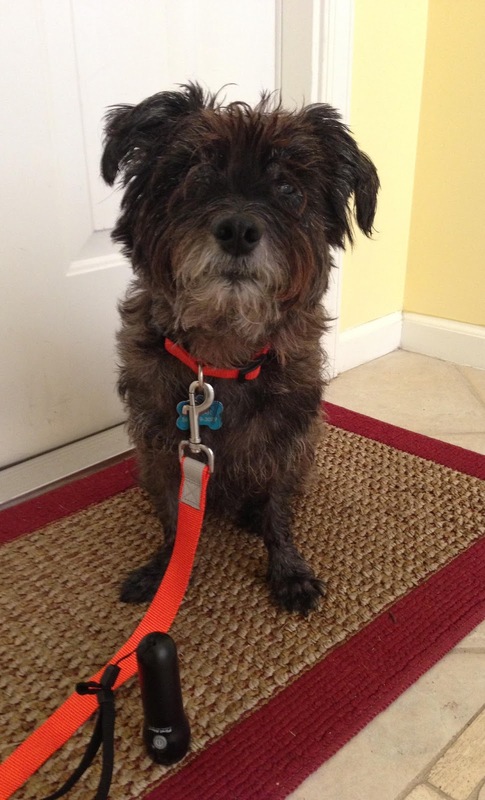 Pepper you are a lucky and very sweet pup! I love the StarWars Yoda ears, so cool :) We have doggies and cats so could we enter both to? I don't know if the bark genie would help us doggies or not, we would over power it BOL!! My dogness that was a swag indeed. Mom wonders if that bark thing would work by our front door. The only time we ever bark is when the mail person comes to the door. We are just a house of pups. I'm entering on behalf of my doggy! Wow Good thing your Mom drove. Would like to enter for small Doxie dog! Two big dogs here are ready to win! I think Pierson could really use a Bark Genie. He barks whenever a leaf falls outside!!! I'm entering for our small dog! I'm entering for whichever one of my pets looks the funniest in the Yoda ears. However, the responsible pet owner in me is entering for the dog prize. I have both a small and a large dog, so I would like whichever one I can win....trust me, they'll share. CatPrize please! I can't wait to have an 8x10 made of each one of my cats in the Yoda ears! Wow that Bark Genie sounds pretty cool mommy used a bark control on Sabrina but she doesn't any more. Pepper you did an excellent blog on the products. My small dog, @WonderDogCarlin, would be so thrilled with this prize pack. I think he'd soon figure out how to train me with the Bark Genie as well. Preston here. The bark genie does sound like a useful tool in some cases. But you didn't let any of our mommies or us know you had it on during the conference and affecting all of us which isn't good. My brother Elvis came from a puppy mill and sounds like this one can cause him to shut down and has major setbacks and be very afraid of things he doesn't understand. Next time you decide to use this you really need to inform our rents and the conference so owners have the informed choice to remove their dogs from the conference event. 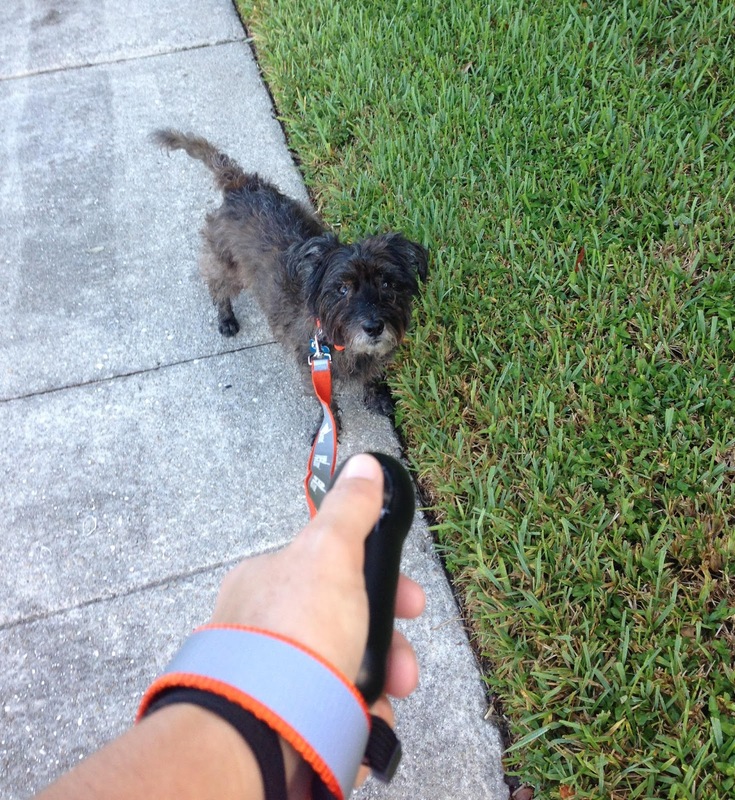 Every owner should have input and a say in which training tools are used on their pups. Hai Pepper! OMC I wish I had a treat genie!!! Mom is thinking of clicker training us, think that will lead to lots of treats? I can only hope so!! PPS Who DO win da swag I hope you would send a pic to be posted on Pepper's Paws od you in yer yoda ears! Hai Pepper! OMC I wish I had a treat genie! I think mom wants to clicker train me-maybe dat will mean treats? Paws crossed! Cool! What neat stuff! I'm entering for my three Small dogs! We have lots of crossed paws here! Thanks for the review! Great read and also very nice of you to be doing a giveaway! My two small pups would love the swag! I'm entering for a large dog! Thanks! Man you are swagged up Pepper! No wonder you are so busy. I am a medium size dog. Woof! I am entering for our dog, Dot. She is medium sized, a 36 pound Brittany. What a lot of SWAG! 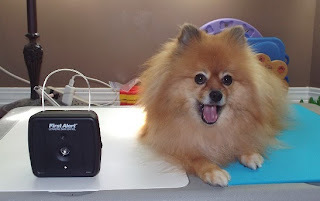 This was a hilarious Bark Genie review from both you and Oz. I'm entering my big dog, Spencer. Wonderful giveaway. I am entering for a cat. OMG my dogs would love that stuff (so would I)! I am entering for a dog. My dogs are English Springer Spaniels, which are a medium sized breed but for this giveaway I guess they would be considered large. Love the Yoda ears!! MOL! ( Meowing out load) My FlossieFluff would love a chance to win the kitty swag! Thanks for the chance. How nice of you to give away all that stuff! I'm entering for my dog Harley he's a small doggie! I would like to enter my kitties, Mischief and Tiana, both rescues who share my home with me, Buster and Jasmine. Pepper do you remember me, Cappy. 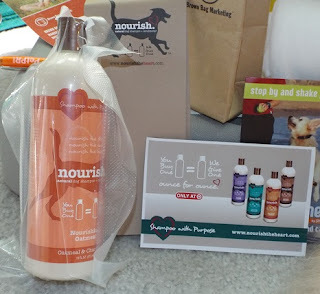 Mom and I were so excited about all the things for me at BarkWorld, we did not get much for my feline brother and sister. I know they would enjoy anything, but they do so love those cat pouch foods and all special treats. I hope to chat soon, BOL. By the way mom says Hi too. Hi, Pepper! I am new to your site, it is very nice to meet you! I'm entering for our large dogs Kouga and Artie. Thank you for the chance to win. I have large, medium, and small dogs and a cat, so I'd take whatever the other winner didn't need. would love to use this for my dog Coco who is yorkshire terrier and chihuahua. I rescued her from the shelter a little over a year ago. She barks constantly. I live in a centrally located apartment unit in my complex, where everyone walks by at one time or another during the day. She is such a a good watch dog that she alerts me every time someone is nearby. With a complex of 65 units, her barking can get too much. I don't want to drive my neighbors crazy with her barking, and get in trouble with management, where I could be asked to leave. I really can't afford to live anywhere else. This would be a god send to me. Oh my gosh! I hope I win! I have a few pets, but I'm entering for my large dog, Micah. She's not too large, 35 lbs, but she's very hairy and bigger than her furry friends.